Summary: The United Methodist Church and Presbyterian Church exemplify the widespread infiltration of spiritual formation doctrine into the Church in the United States and beyond. 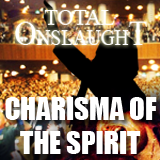 Along with the evangelical mega-churches of America, the Methodist and Presbyterian denominations also promote a New Age spiritual formation. With candles burning on either side, she invoked spirits of the dead by reading them off a list. Among the departed spirits called were Hagar, Uriah, the children killed by Herod, Joan of Arc, Jewish people killed in World War II, Malcom X, and even "the spirit of the Liberator, our brother Jesus, tortured and killed on the cross." Chung Kyung's actions show the deep reliance modern Christianity has on experiential religion. They show that the denominations' drive towards unity is not based on the truth of Scripture, and that today's Church misunderstands the process of death. These seances and New Age activities are becoming more and more common in circles that practice mystic spirituality. The Bible speaks of transformation not formation. Instead of seeking mystical experiences and the advice of spiritual directors from any religion, let's seek to use our alert and conscious minds to read Scripture and pray. It is in this attitude of obedience and trust in God's Word—and not through Labyrinth walking or communing with the natural world—that we will be transformed by God into the people He created us to be. And do not be conformed to this world, but be transformed by the renewing of your mind, that you may prove what is that good and acceptable and perfect will of God (Romans 12:2). i. 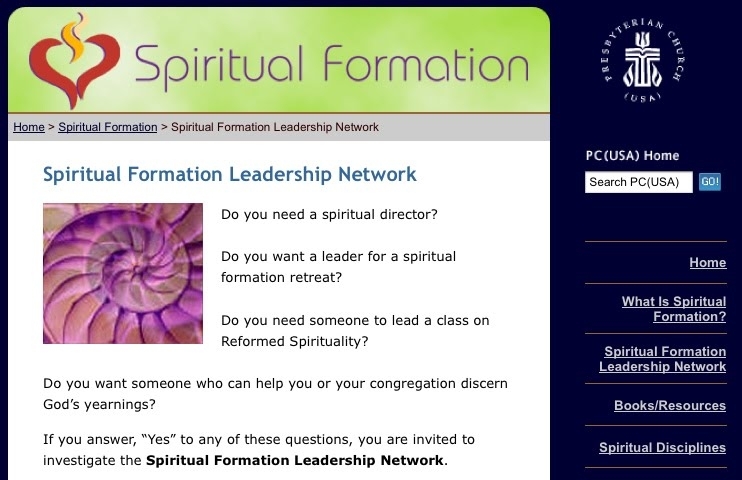 "The Role of The Conference Spiritual Formation Team," www.flumcspiritualformation.org. iii. Melinda Trotti, "Taize worship workshop makes its way to Fruitland Park," Florida United Methodist News Service e-review (November 22, 2008). iv. 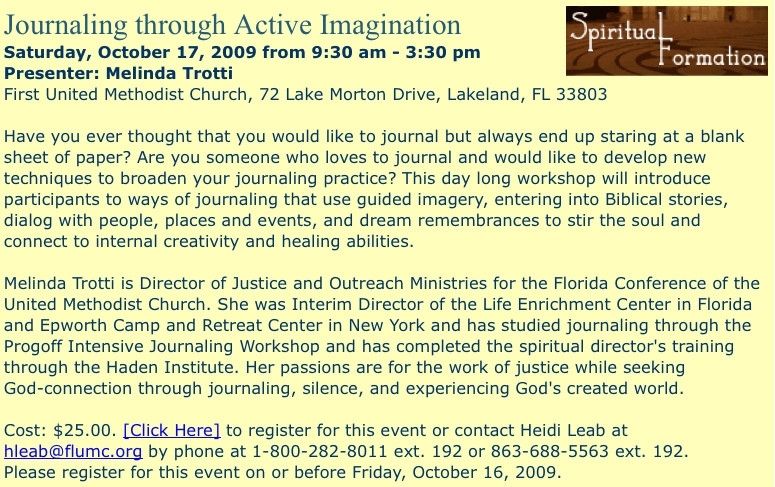 "Journaling Through Active Imagination," Gulf Central District Newsletter (October 2009). 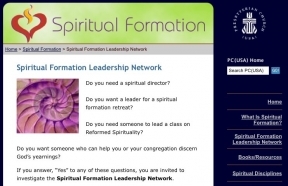 v. Melinda Trotti, "Spiritual Formation team announces Formation Gatherings," Florida United Methodist News Service e-review (June 12, 2008). viii. William T. James, Editor, Foreshocks of Antichrist (Eugene, OR: Harvest House Publishers, 1997): 58.
ix. Dave Hunt, “The Greening of the Cross,” The Berean Call (July 1997): 1.
xiii. Tilden Edwards, Spiritual Friend (Paulist Press, 1980): back cover.